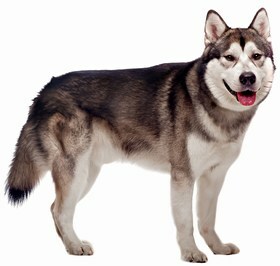 The Tamaskan is a hybrid breed of the Alaskan Malamute, Siberian Husky, and the German Shepherd. 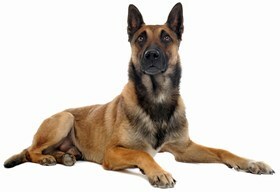 This breed is a relatively healthy one, but there are some health conditions that you need to look out for, including epilepsy, hip dysplasia, myelopathy, and cryptorchidism. Epilepsy or seizures is a brain disorder that occurs in your pup in which physical attacks occur. These attacks are often in the form of convulsions, loss of consciousness, and even foaming at the mouth. Your veterinarian may treat your pup’s epilepsy with medication when needed. Hip dysplasia is a condition that occurs when the hip socket is not properly formed. This causes problems with the joint and can lead to arthritis. This condition is often crippling and is considered to be genetic. Myelopathy is of concern in your Tamaskan. This is a disease that is progressive, and it affects the spinal cord. This condition usually only affects older pups, but could happen when your pup is younger. The first sign of this disease is often a loss of coordination. The symptoms will continue to progress as your pup ages. Lastly, you need to watch out for cryptorchidism. This is a condition that affects only male pups and occurs when the testicles do not fall into the scrotum. 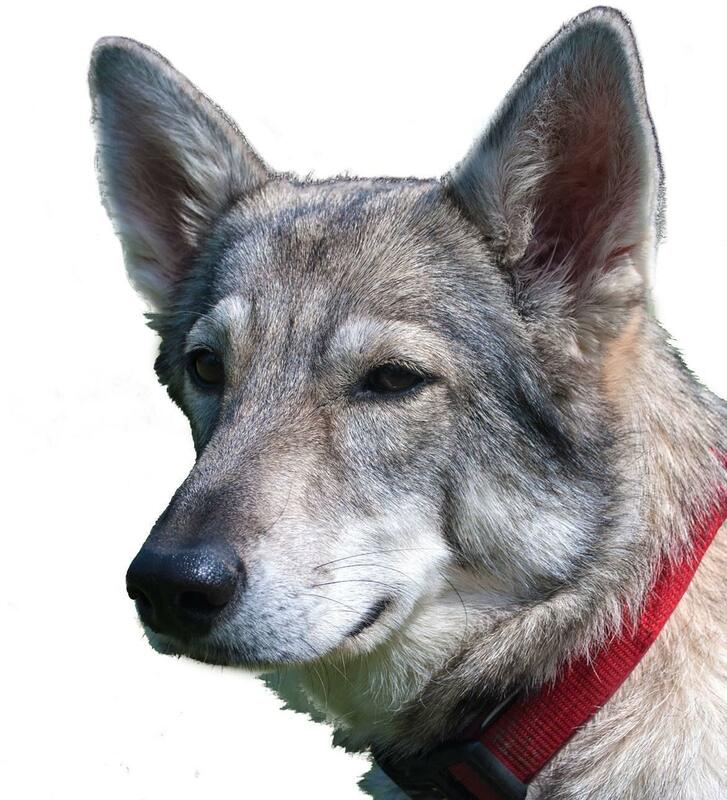 The Tamaskan has a life expectancy of 14 to 15 years. The Tamaskan is considered to be a great option for the family. 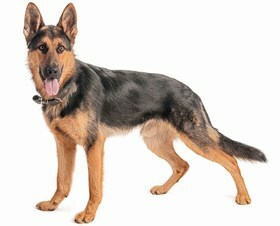 In fact, this breed does well with children and is quite gentle with them. You do not have to worry about your pup showing any signs of aggression and this breed is able to tolerate small hands. In addition to getting along with children, your pup will also get along with other pets in the home without worry. As always, you should socialize your pup at a young age to ensure the best behavior. You will find that your pup is well-mannered and behaves especially well when others are around. This breed feeds on human attention and likes to be near you at all times. This breed is considered easy to train and will obey your commands, but you must assert yourself as the pack leader. If you show signs of weakness or inconsistency, your pup will pick up on it right away and try to replace you as the alpha. When it comes to training, you will notice that your pup responds well to your commands and is eager to please you on a daily basis. One good quality about this pup is you do not have to worry about him or her running away, as they tend to stick close by. Your Tamaskan will be full of energy and will need exercise daily. A home where he or she can have access to a backyard would be ideal. Your pup should be walked at least twice per day. Your Tamaskan will shed often, and shedding picks up twice per year as well. You should make sure that you brush your pup a few times per week, even once per day if you can. Brushing will help remove any loose hairs and free up any tangles that may be present. Your Tamaskan does not need a regular bathing schedule. You only need to give him or her one when it is truly needed. You will find that a quick wipe with a damp cloth usually does the trick. You do need to make sure that you clean your pup’s ears at least once per week to ward off infections. In addition, your pup’s nails need to be trimmed at least once per month to prevent them from growing too long and causing your pup pain. You can expect your Tamaskan to consume anywhere between three cups to four cups of dry food per day. You want to make sure that you offer your pup a high-quality, premium brand of dog food to ensure that he or she lives a healthy life. When you search for a brand of food, make sure to look at the label and determine what products are in the food. For example, you want to choose a product that contains fresh meat, vegetables, and gravies. You do not want the food to contain by-products, fillers, and chemicals. Some people find that their Tamaskan responds well to a raw diet and this may be something you want to consider. A raw diet can provide your pup with the nutrients he or she needs from wholesome foods. A raw diet can include eggs, raw meat, fruits, vegetables, and more. If you are unsure of what to feed your puppy, you should speak with your veterinarian to find out what he or she recommends. 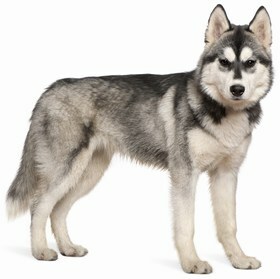 A Tamaskan puppy will cost anywhere between $600 and $1,100. This price will depend on the breeder and also the demand for the puppy at the time. Remember, the price of the puppy is not always an indication that the puppy is healthy. You still need to research the breeder and look over all tests and paperwork to ensure you have the healthiest pup. Ranking takes into account a few basic factors including cost, skill level needed, high vs low maintenance and how critical regular training is to success. The Tamaskan is considered to be a wonderful choice, and you will be happy with your decision. This breed is amazing with children and is completely gentle with even the littlest hands. You will find that this breed likes the attention and love from your family and feeds on it. You can take your pup on trips with you without worry that he or she will act out. This breed is considered to be well-mannered and makes a lovely addition to any home. This breed ranks a 1.